I am now in the habit of making healthy substitutions for my family. 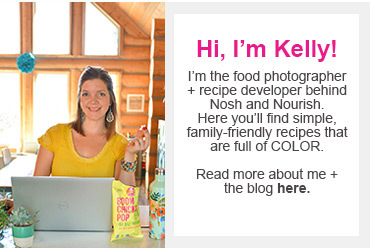 If I can keep a similar taste but include better-for-us ingredients, then I'm all in!! 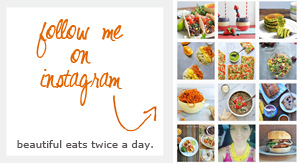 Some recent examples include my healthy key lime pie, my double-decker tacos, and my Zuppa Toscana. And with my father-in-law's recent heart attack, Dear Hubby has been even more willing to try new things in the name of better health. I haven't changed everything all at once, but am slowing making over some of our favorite dishes. This week's challenge was Fried Rice. My hubby is half Asian, and LOVES his white rice. But it is seriously lacking in the nutrition department. 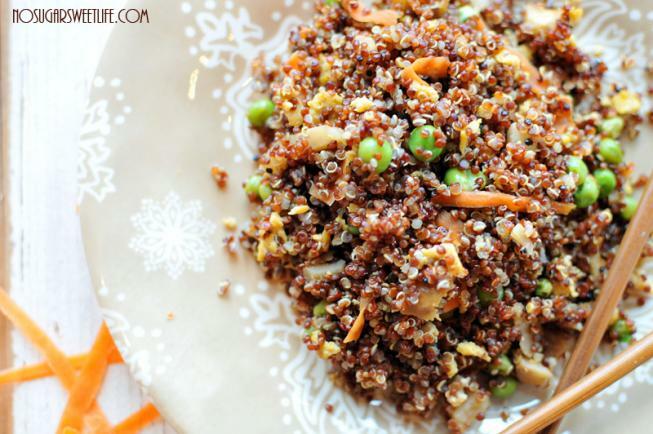 Taking it one step further even than brown rice, I made over this meal favorite with red quinoa. Beautiful and bursting with flavor and nutrients, this meal passed the Dear Hubby test. Though he has never liked a single quinoa dish I've made (or ordered at a restaurant) in the past, this he liked. Score!! Not only did I substitute the white rice for quinoa, I also substituted the tradtional soy sauce for Bragg's Liquid Aminos. It is marketed as the "healthy/natural" alternative to soy sauce. It still has a similar sodium content, but the main difference is that it uses non-GMO soybeans and has less preservatives. OK, going to be honest here.... I had heard about this stuff almost a year ago, but the name freaked me out. Liquid Huh?!? I decided to give it a try this past week though when I saw it at the store, and I'm so glad I did. The taste/flavor was great!! And Dear Hubby, soy sauce aficionado, even liked it. 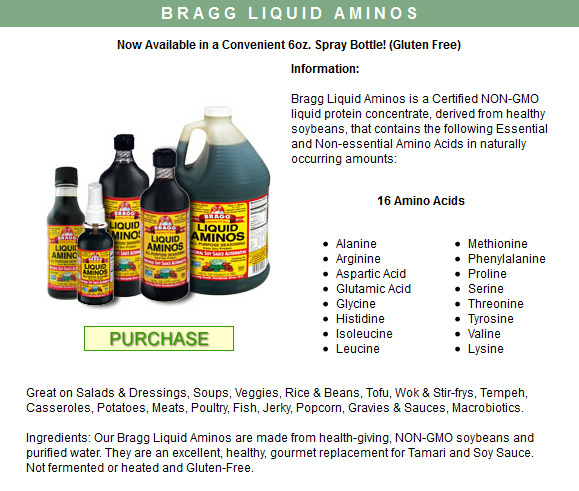 Have you tried Liquid Aminos? What are some of your favorite dishes that need making over? Cook quinoa on the stovetop per instructions (be sure to wash thoroughly) - mine was 1 cup uncooked quinoa to 1.25 cup water. Bring water to a boil, add in quinoa, reduce heat, and simmer for 15 minutes. Then, let it sit for 5 minutes before "fluffing." Beat and scramble eggs, then break it into small pieces with a spatula. Add in peas and carrots, and waterchestnuts to warm them (if frozen). 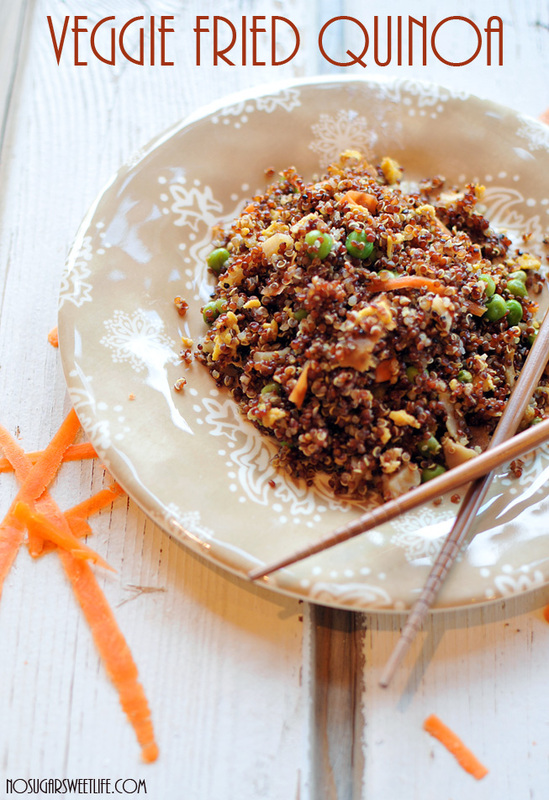 Once quinoa is finished, add it into the veggie mix. Stir in the liquid aminos and polynesian sauce. Mix thoroughly.